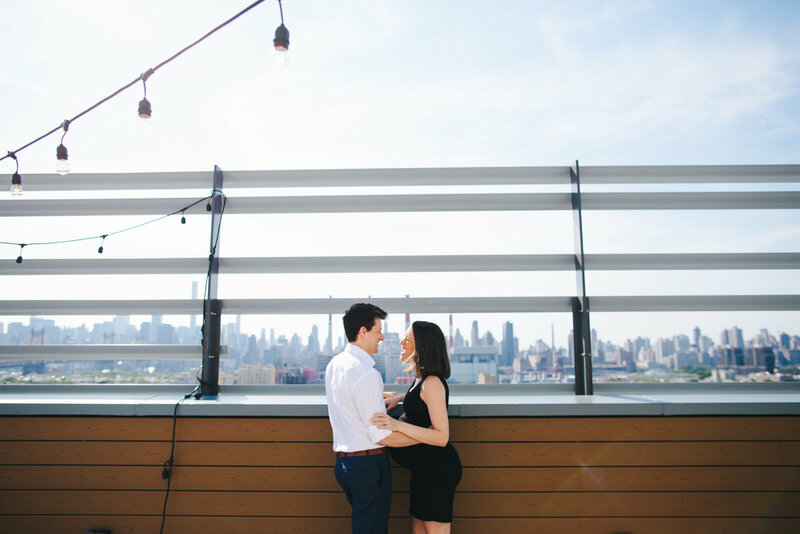 This couple decided they wanted to do something special and booked us into the Boro Hotel in Long Island City. 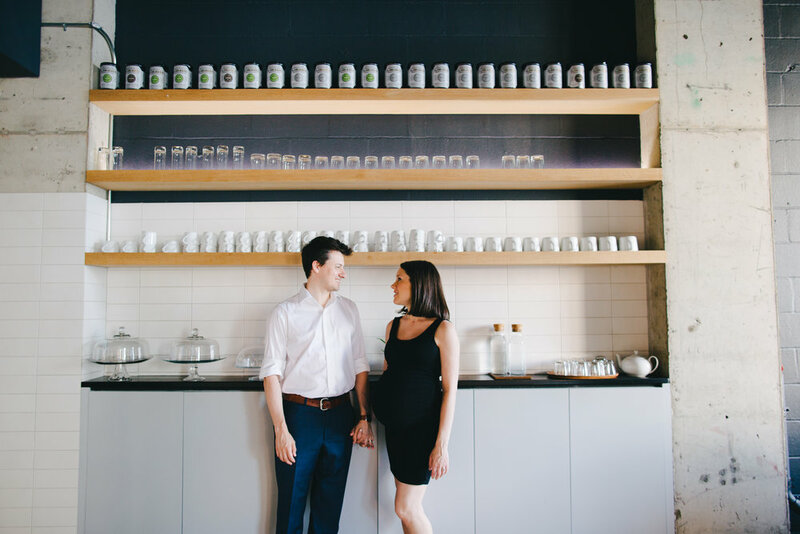 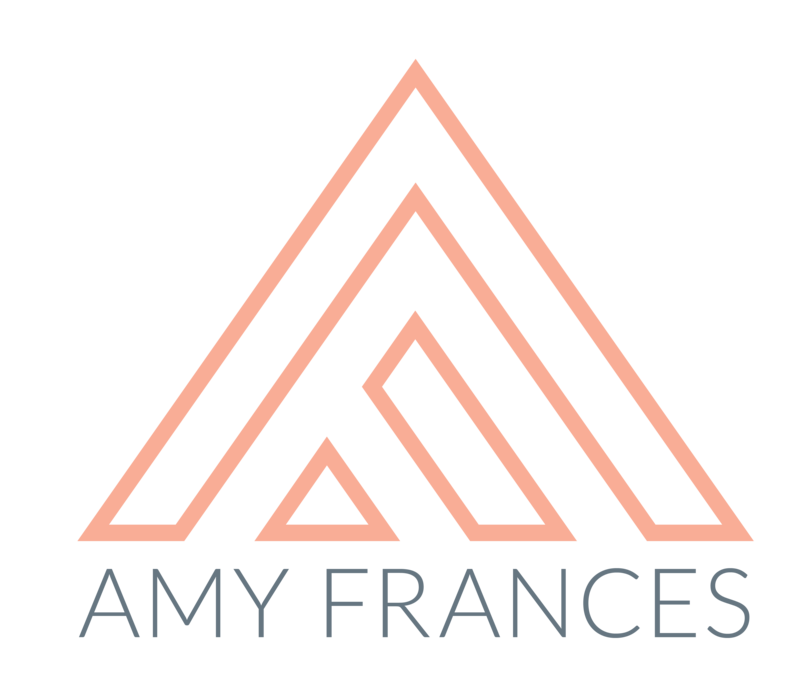 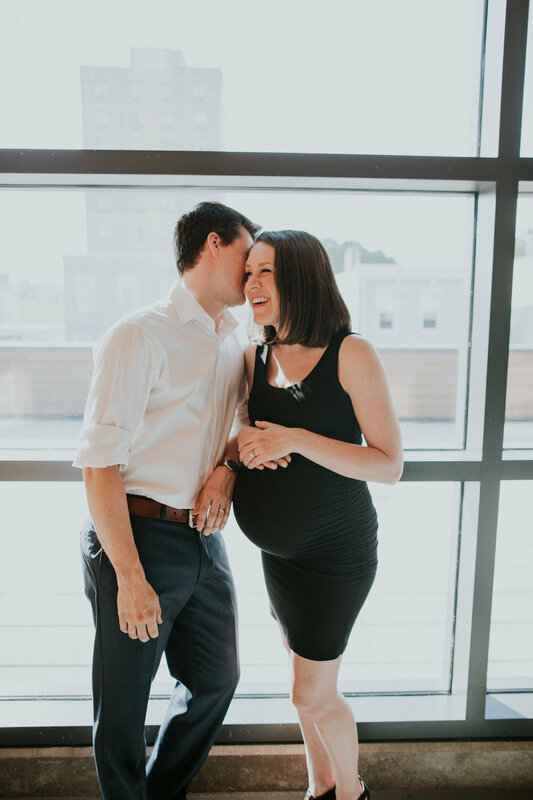 It was the most beautiful backdrop for their clean, chic and modern maternity session. 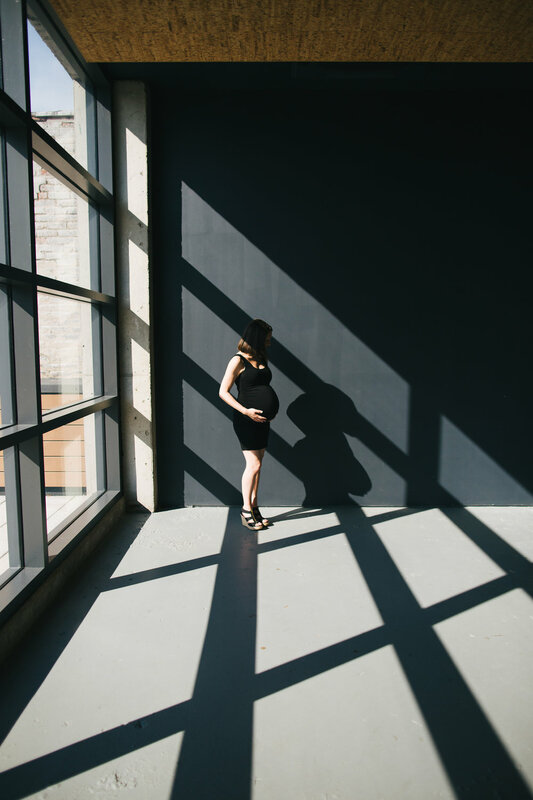 And how beautiful is the glowing mama-to-be in that timeless little black dress?! 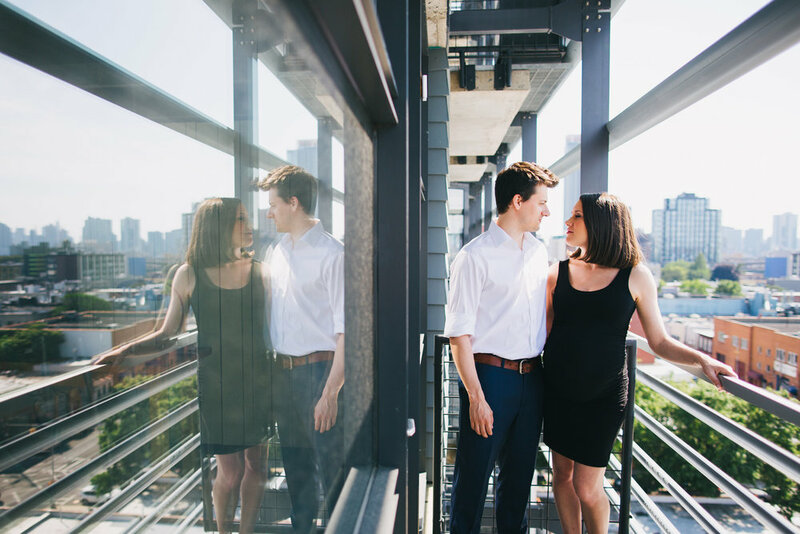 We had great views of Manhattan and the hotel’s stunning rooms were just an absolute dream to photograph, full of natural light through the floor to ceiling windows. 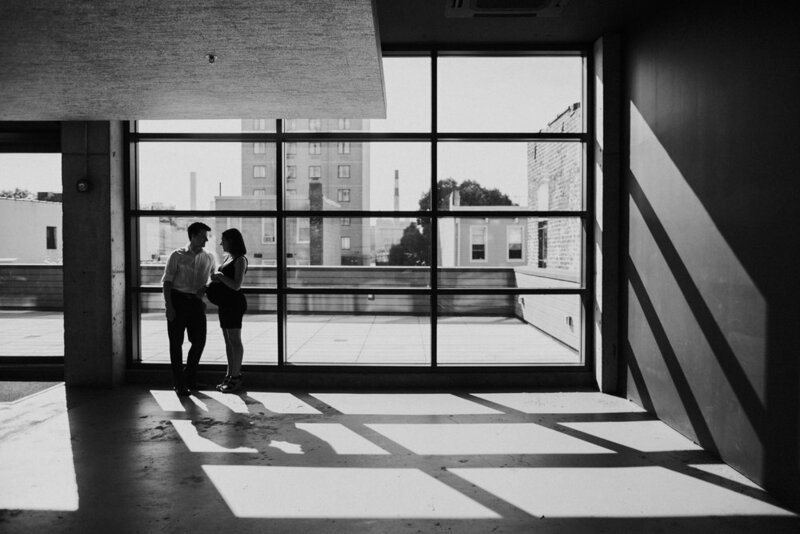 This hotel is full of amazing backdrops, modern elements, and one of the best rooftop views I have seen.